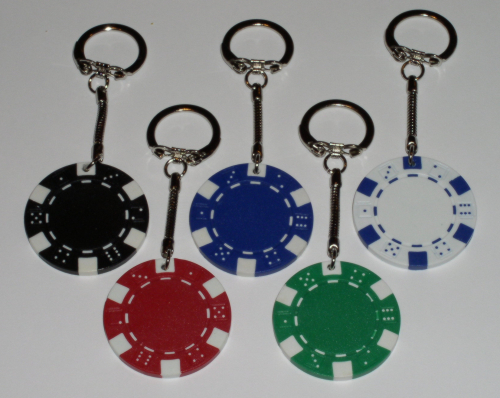 Available to hold 300 & 500 chips "Pick a color"
The following items are made of the highest quality materials. 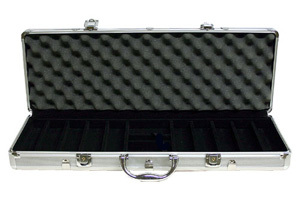 We carry tough locking aluminum cases, poker chip trays, dice, and dealer buttons. 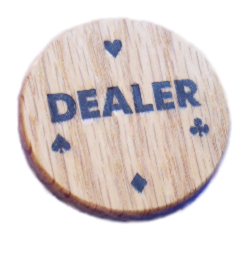 The inserts in our aluminum cases are made of wood covered with felt to protect your poker chips. This is truly a quality product. All products have been acquired by quality vendors to assure the highest quality products available, while insuring maximum value. Our Acrylic trays hold 100 poker chips and can be stacked with chips in place.